The IDF has forced the Jerusalem Post to remove its explosive report on the Israeli military giving weapons to the Syrian rebels. 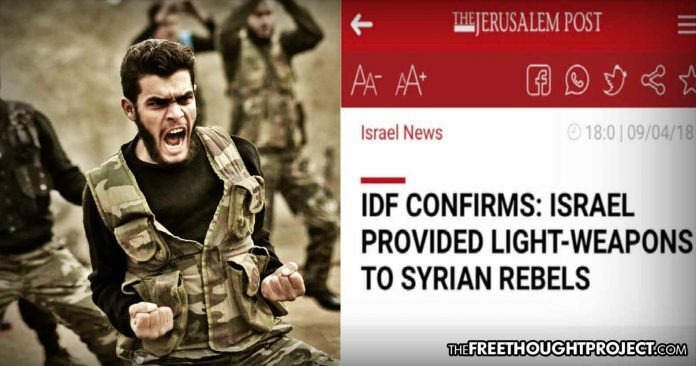 (SouthFront.org) — The Israeli military is censoring news reports on Israel providing weapons and supplies to militant groups in Syria. The Jerusalem Post was told by the military censor to remove its story “IDF Confirms: Israel Provided Light-Weapons To Syrian Rebels”. However, the report providing details on the transfer of significant amounts of cash, weapons and ammunition to militants in southern Syria is still available via Google cache. UPDATE: After TFTP republished this story from SouthFront, even the cached versions of the original article have been removed from archive.org and Google webcache.